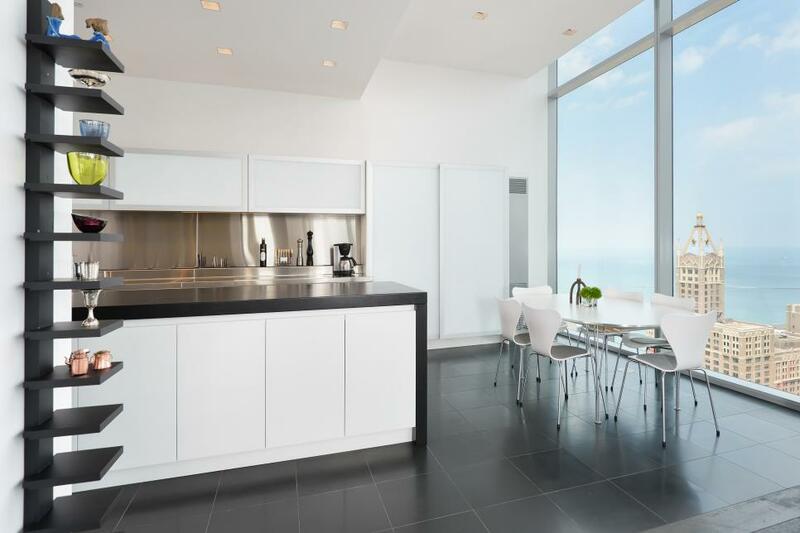 Kitchens are places where people come to prepare a food or quickly to eat, so they are places concentrated more on functionality than other design aspects. 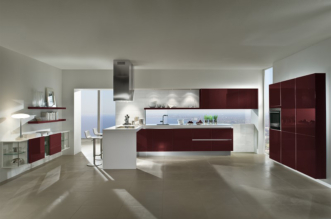 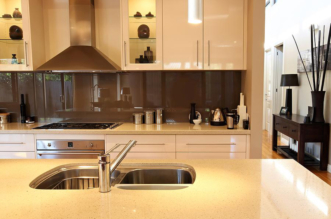 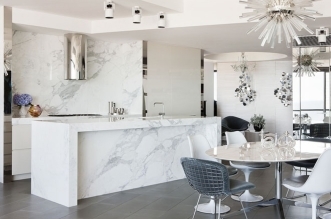 Nowadays the designers for modern kitchens are creating cooking spaces on the same level with the other rooms. 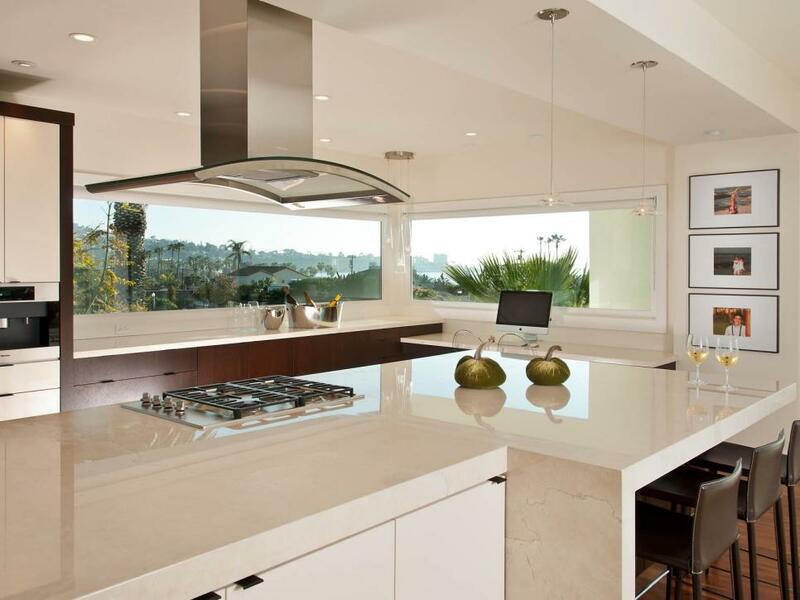 They create elegant modern kitchens with simple lines and allow the marvelous view to be real focus. 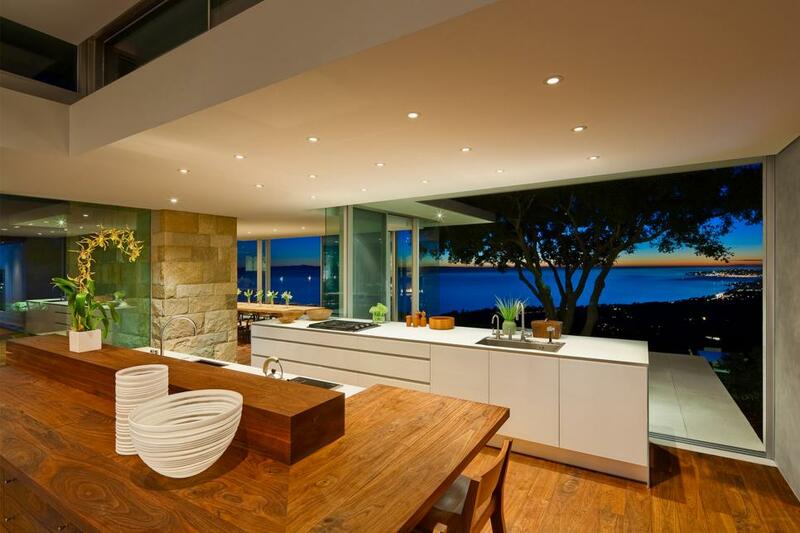 It would be very relaxing at night when you can see the moon mirroring in the ocean. 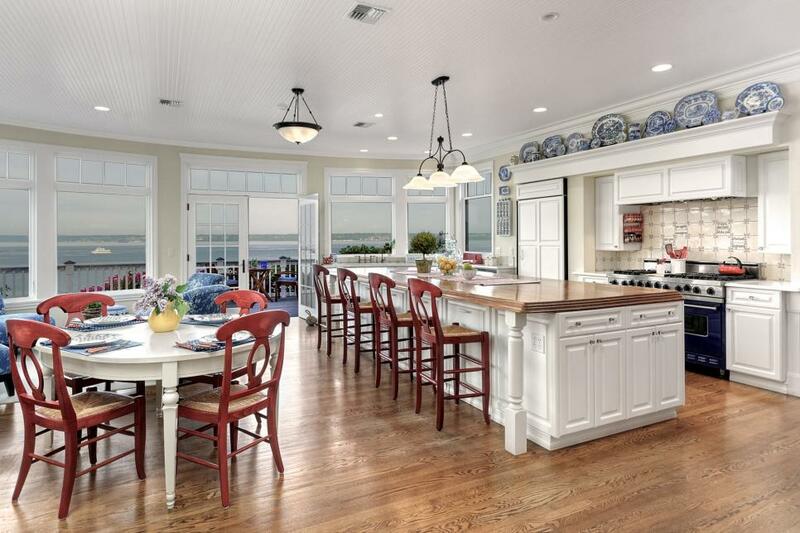 This would be very good picture while you are preparing dinner and if you are surrounded with nature and beautiful lake or landscape with trees and open view it will be the perfect place to put your kitchen there. 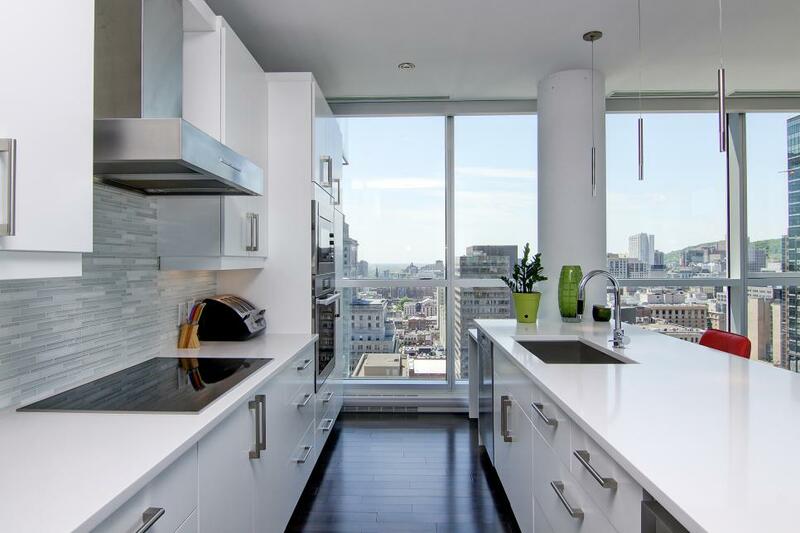 If you are situated in the center of the city you may have a beautiful view where you can find integrated appliances and a panoramic view. 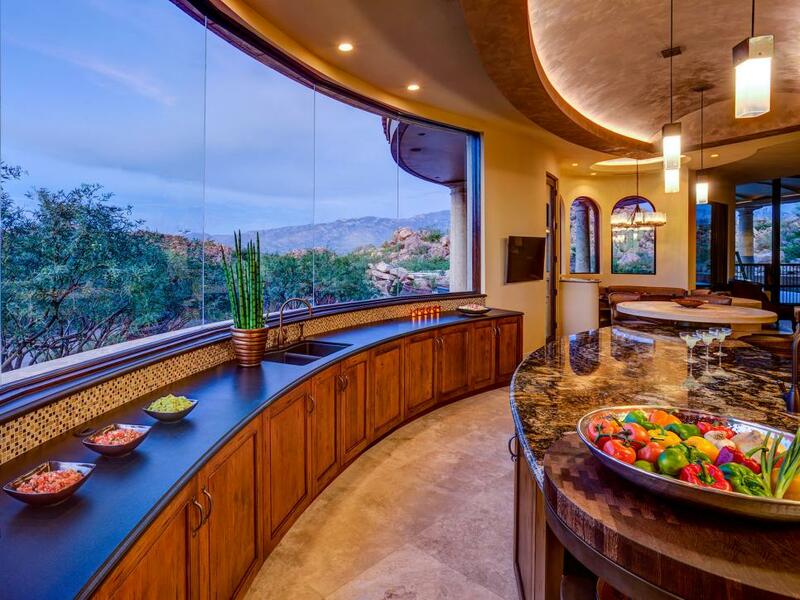 The large windows allow for breathtaking views. 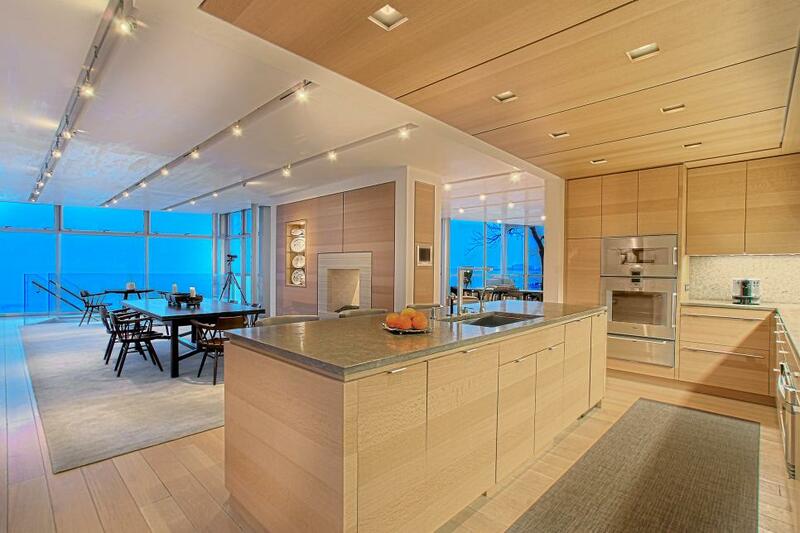 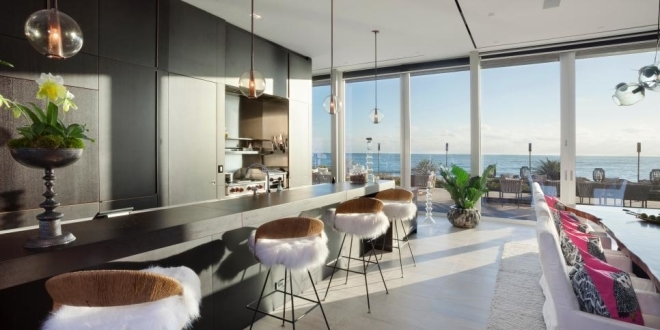 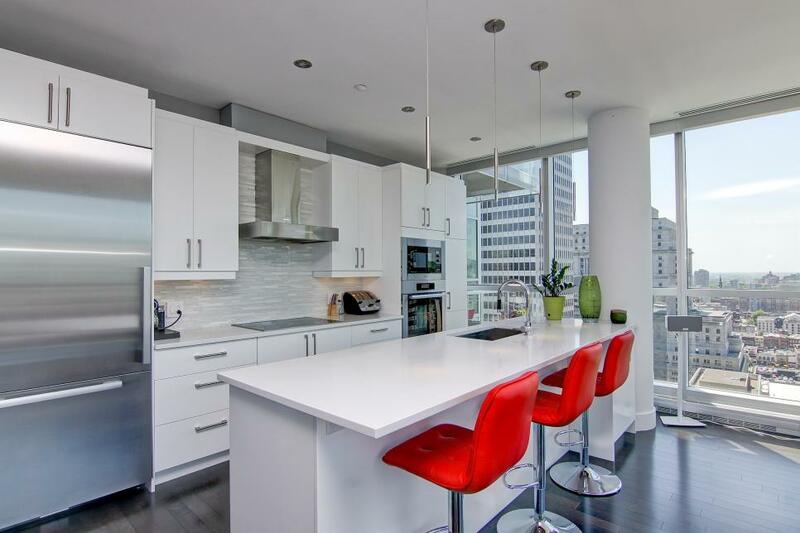 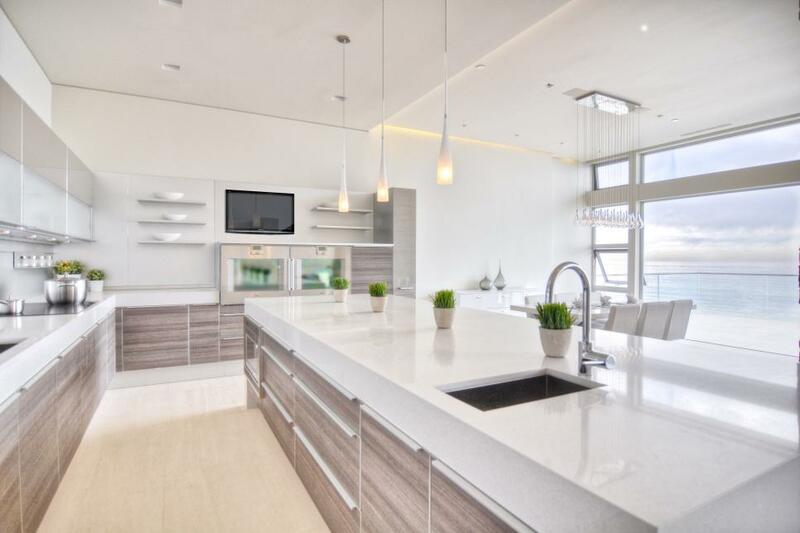 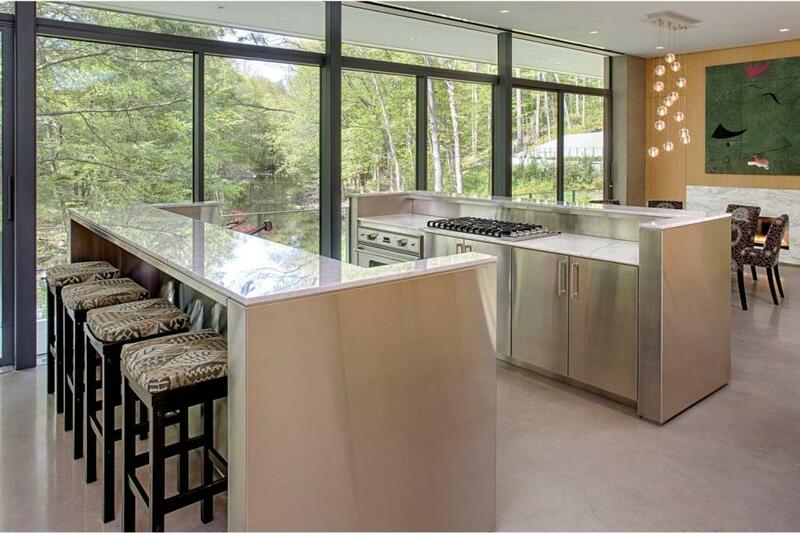 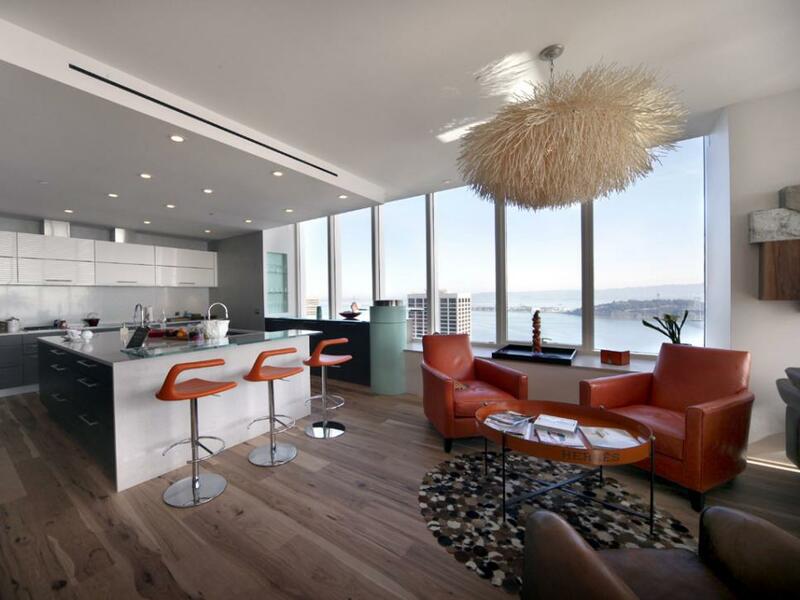 A wall of floor to ceiling windows provides modern kitchen with stunning views. 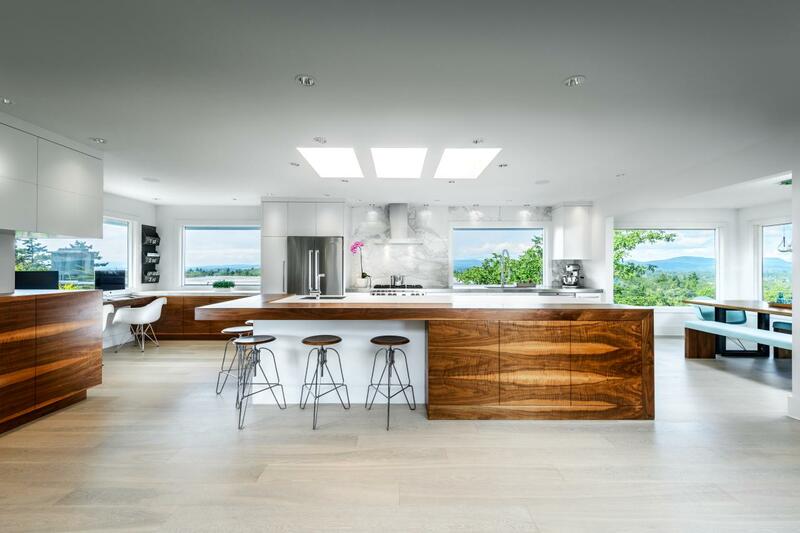 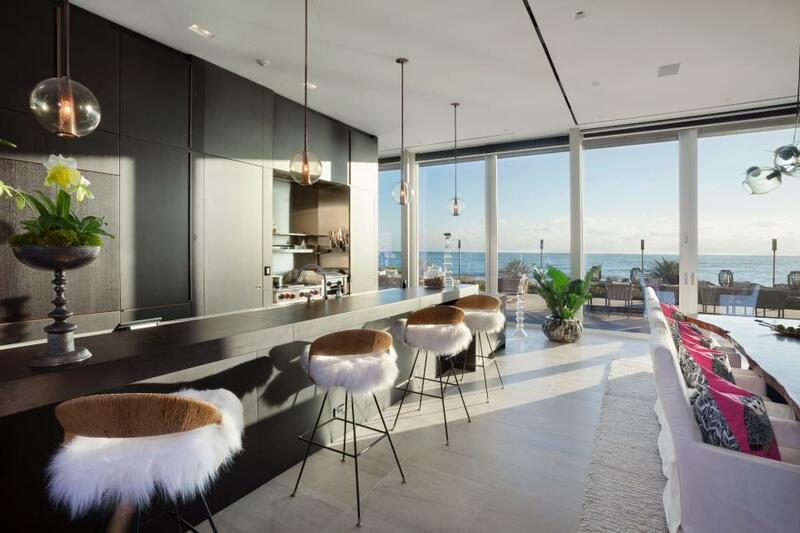 While you are watching out from the windows, these cooking spaces may become the perfect places to find a world of inspiration.